Suburban Metal Dad no. 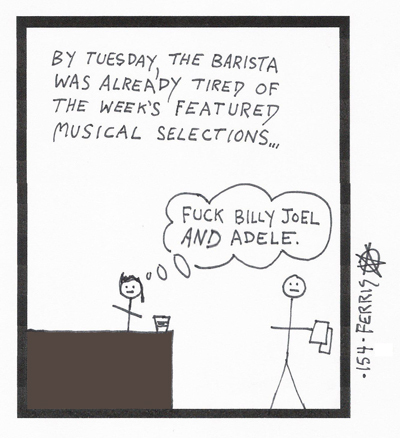 154, "The Barista"
plays in a new window. Click HERE for pure, seething rage. What kind of music do they play where you work? Tell us in the comments section!